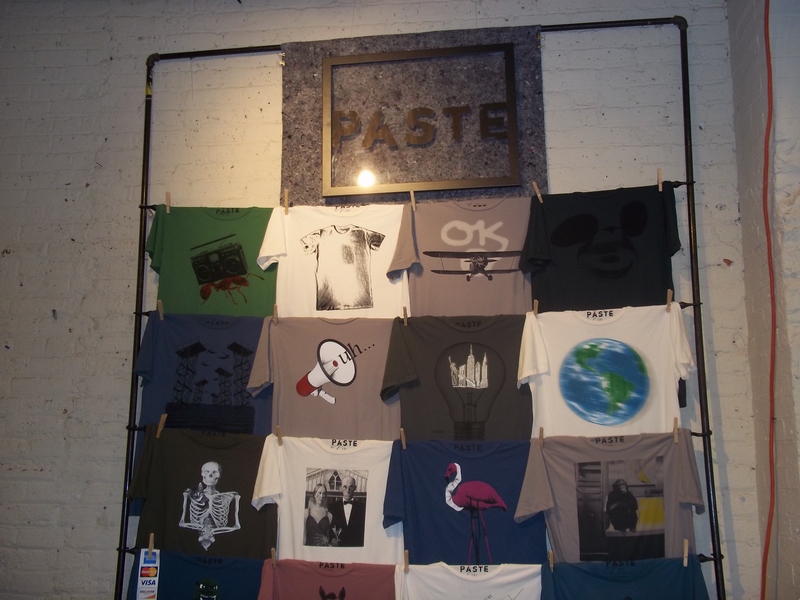 For one week during each month of the summer, Chelsea Market will be home to a pop-up of various vendors for “ID Pop Shop” It started last month in May and is back until this Sunday for June. 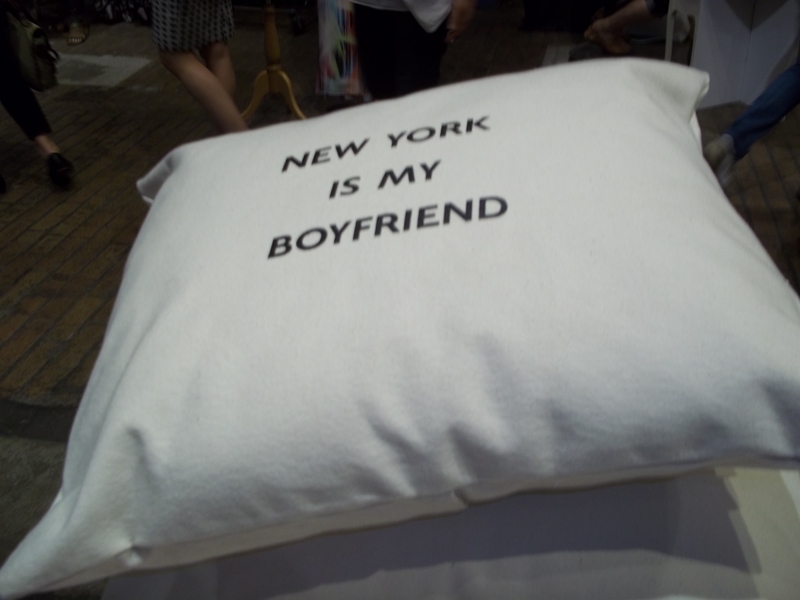 If you are in NYC make sure to go visit Chelsea Market, 75 9th Avenue. Here are just some of the vendors I met today and pictures of some of the great items being sold! Jason Laurits is the designer for this brand and his pieces are just in time for summer. He works with silkscreening and the prints and images are really unique so for my guy friends, go visit and I’m sure you will find something great to wear! This designer really has a lot of great pieces. As described on her website, they are very raw and handmade. 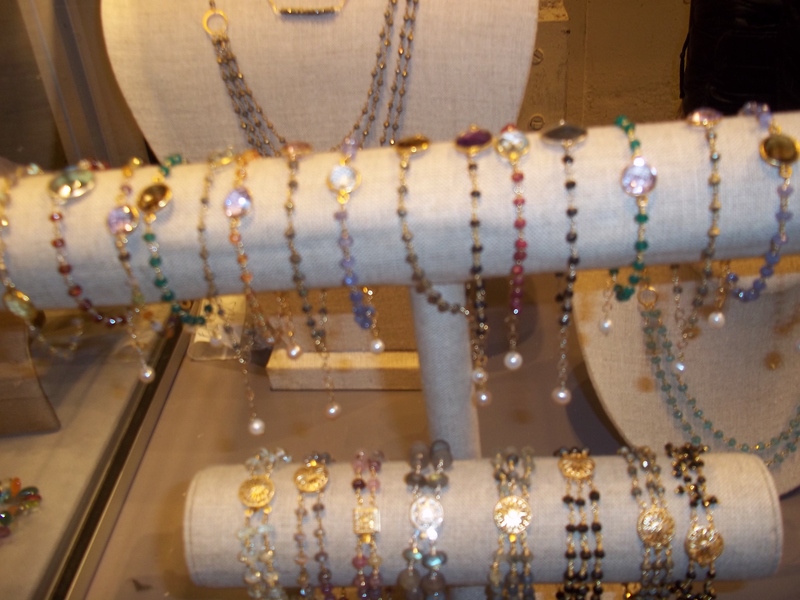 There is a lot to chose from-bracelets, necklaces, rings, etc. 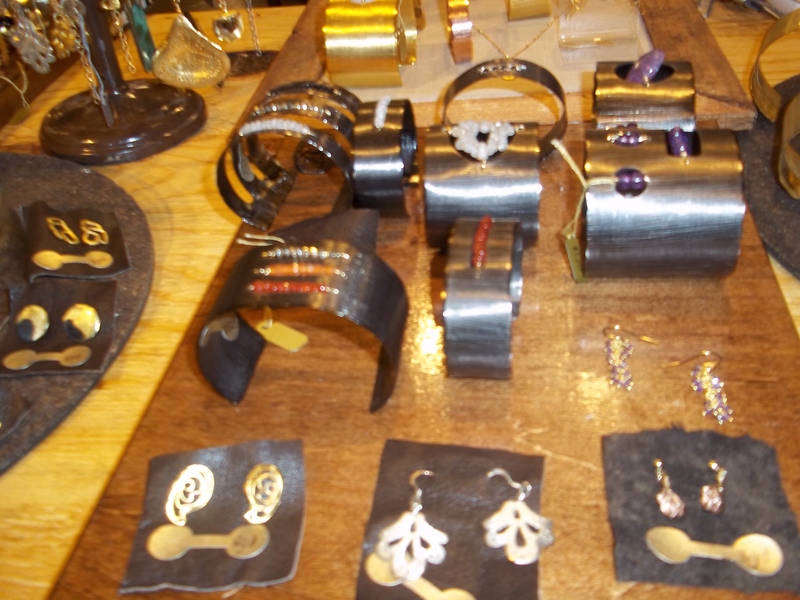 The finish can be in bronze, silver or gold so there is something for everyone. 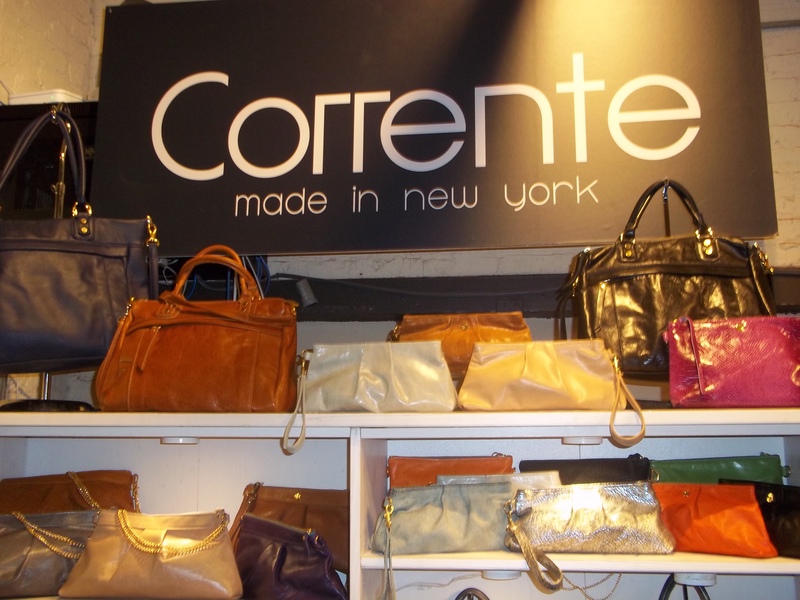 These handbags are all made right in NY and are of the highest quality leather and other materials. There is everything from basics to great bold colors perfectly on trend for summertime. There is also a wide range of sizes to choose from. 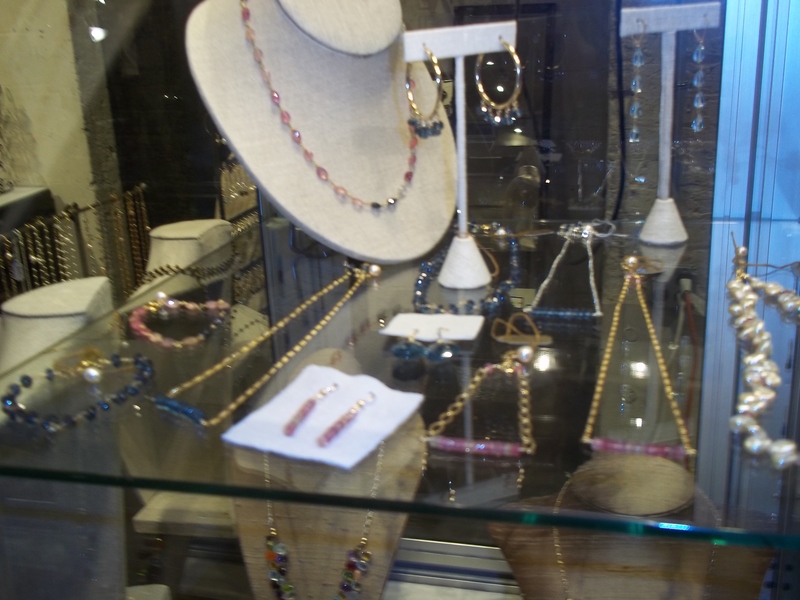 I am so amazed by all the great vendors at this pop-up and certainly of great recognition are the pieces from this jewelry designer. 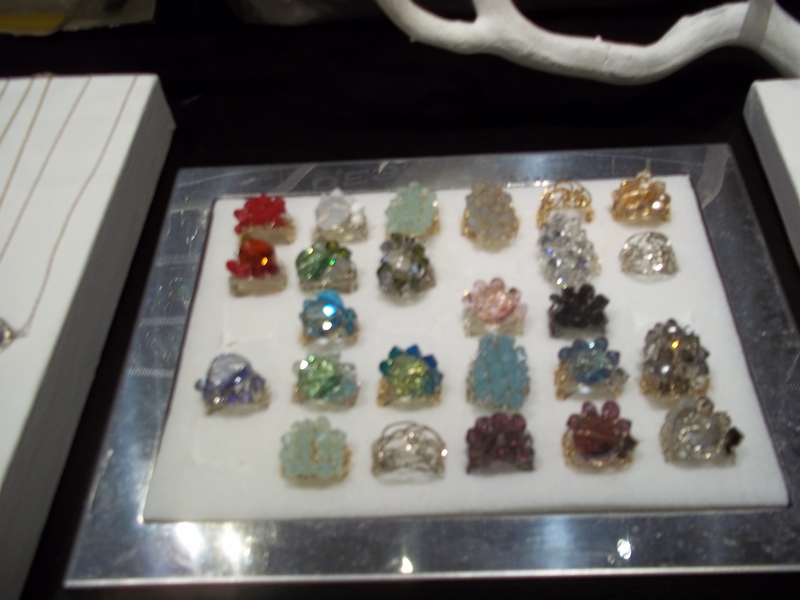 I saw a lot of great color and variety with the many pendants, charms, etc to select from. 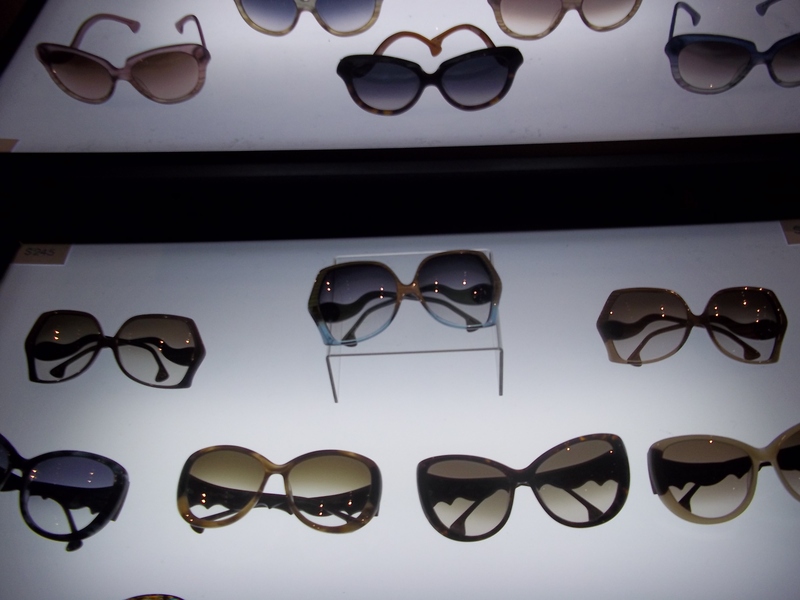 Sunglasses are sure enough one accessory you can go without now that its summertime. 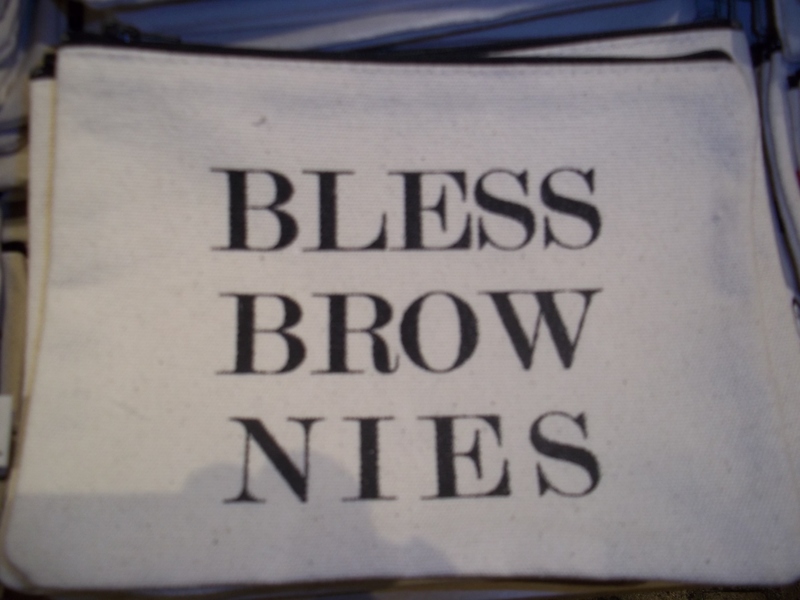 Its also something you can never have too many of! Lumete offers great color and size selection. The styles are very much modern and chic. It was such a joy looking around at the different pieces. I had the hardest time choosing what picture I wanted to take to accompany this tag. There were some great classic pieces on the top shelf of a more basic color. Then there were some that caught my eye with a pop of color for the summer. I finally landed on the above selections with bold prints. 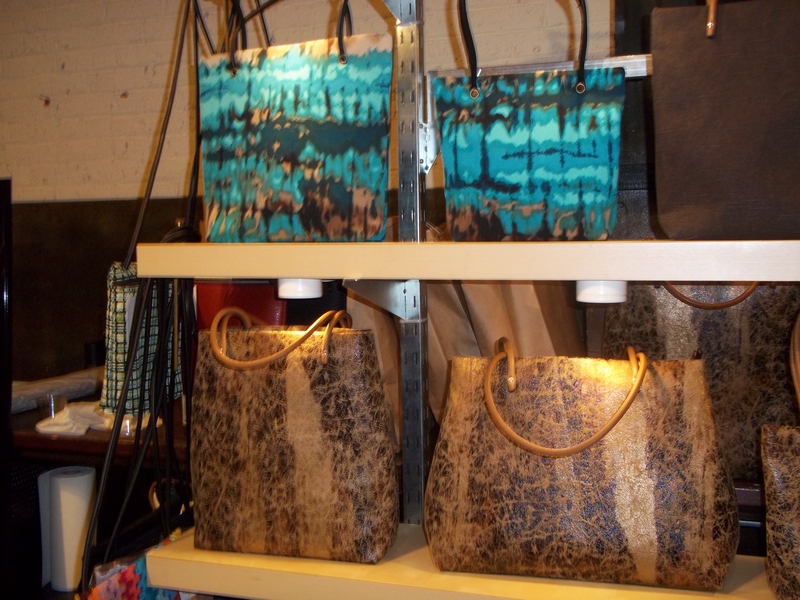 Many sizes and clearly many styles so that is great for any shopper. This brand is created by sisters, Patty and Christine Yoon. I decided to photograph the above selections for some great color options. 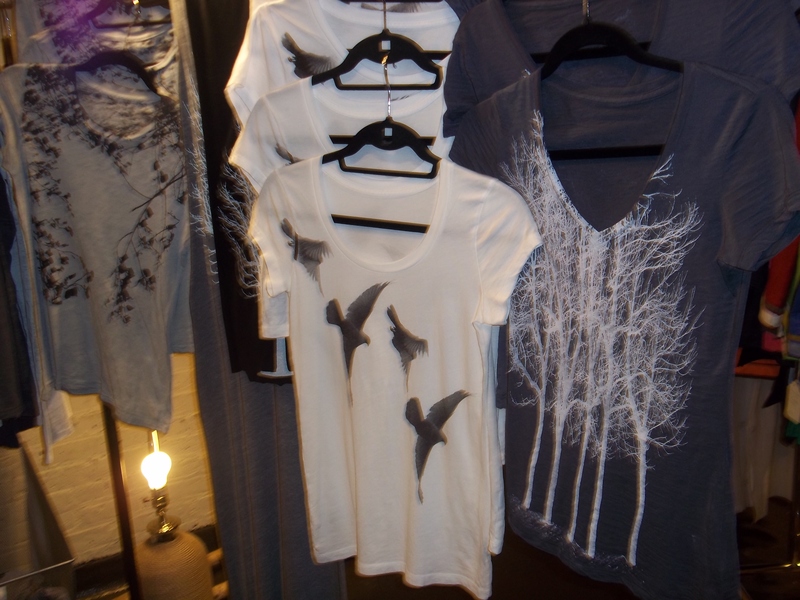 There was a lot of black and grey, but some very unique designs that could be a very special piece for any woman. The designs were very feminine and with given consideration to the everyday modern woman-great work! Rings are probably my most favorite form of jewelry. Here, just like with every other vendor, there is so much to look at and choose from. There is some truly great thought and details given to each piece, no matter what the creation is. A lot of great color and great design-work, so I am very thankful to have stopped in today! 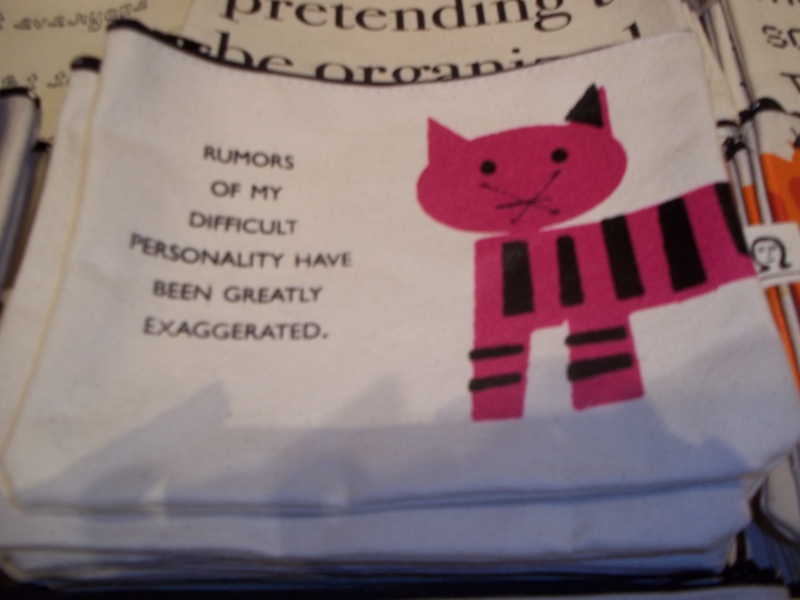 Pamela likely has a miniature tote bag for every person. 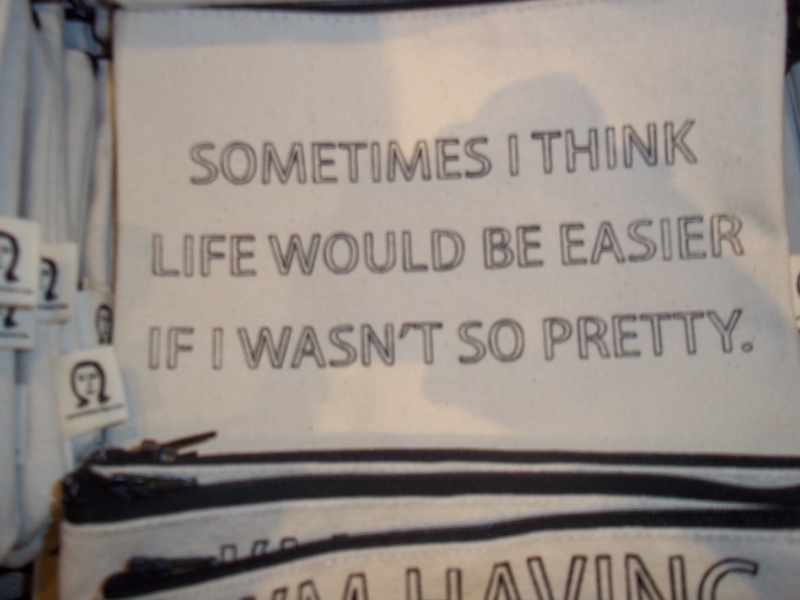 I would find it hard to believe that a shopper couldn’t pass this booth and not find a bag that is the epitome of their being! I had a great time reading all of the hilarious messages so there are literally just a tiny sample of what is there. I do get the brand name here, quality, eco-friendly materials, but not giving away the modern and fashion forward edge of the pieces. Take for instance the dress photographed above. 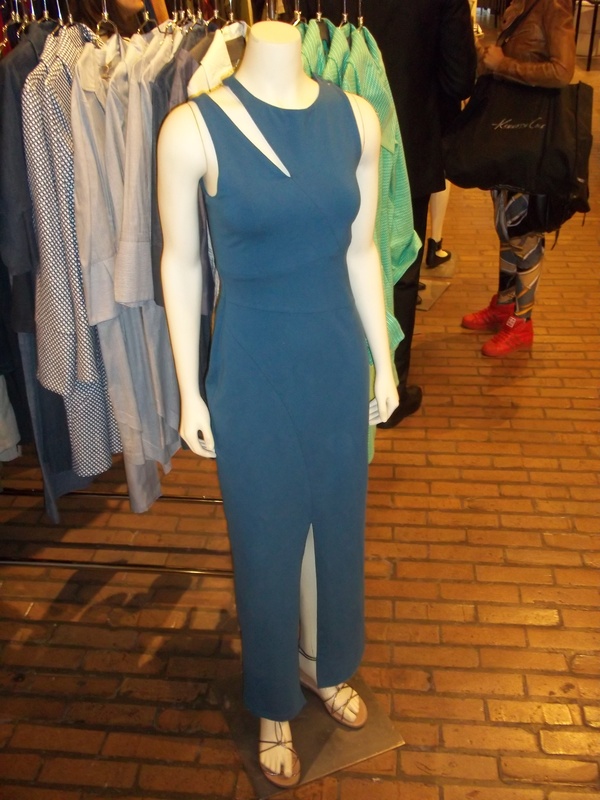 This is a great color that can be worn year-round, the slit, the cut-outs, all on trend right now. 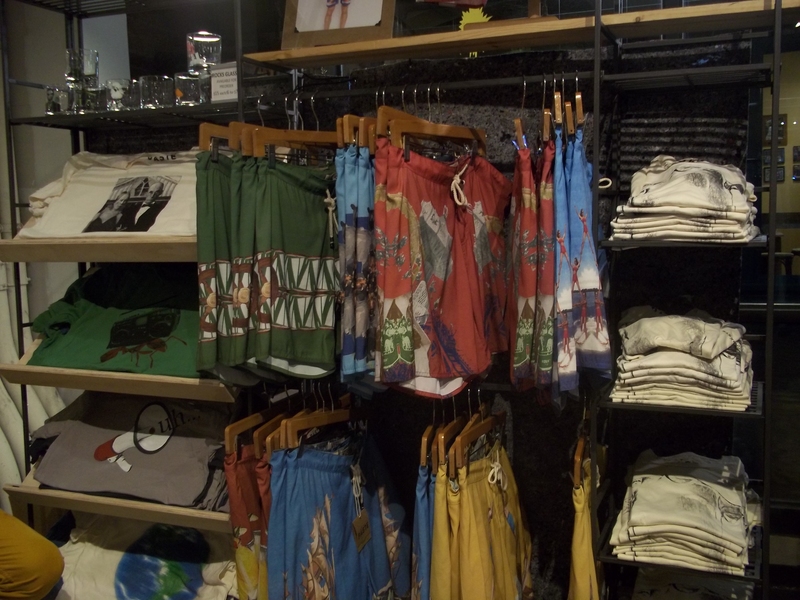 Guru specializes in eco-friendly tunics, sandals and fine jewelry. 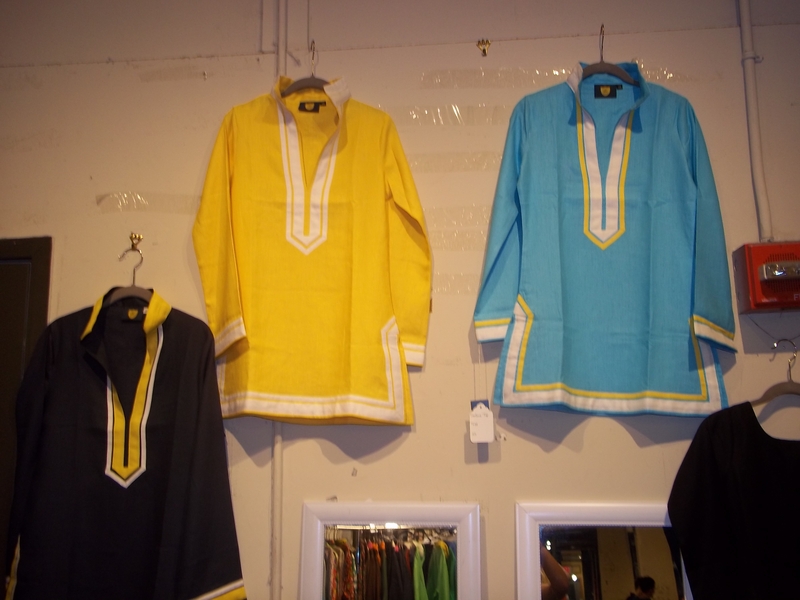 Photographed above are just a few of the bold-colored tunics I saw. With it being summertime or if you are traveling, I think one could find some great pieces with this vendor/designer. The lithographed designs seen here were so moving and breathtaking. They are printed on a wide range of apparel form tees to maxi dresses. This is art coming to life in fashion-enjoy! These are just some of the great vendors present. There are others, such as Iwona Ludyga. There is also more than just clothing and accessories so go check out and if you miss it, stay tuned for other upcoming dates! ← Meeting Designers & Trunk Shows at Bergdorfs & Bendels, & More! !